Absolute Barbecues has been on my ‘must-try’ foodie list for a long time now. I’ve heard rave reviews. Zomato has given this newbie 4.5 stars out of 5. I had to find out what all the fuss was about firsthand. Absolute Barbecues is located on the ground floor of Sidra Tower, Sheikh Zayed Road and let me tell you we found it a little tricky to track down. Absolute Barbeques has customer parking available, so that’s one less thing to worry about. We booked a table for dinner on a Saturday night, and despite being in the middle of nowhere, the place was packed! Having only launched in December 2014, this goes to show how popular Absolute Barbeques is getting to be, a major contender to the barbecue themed restaurants of Dubai given their unique concept. So what makes Absolute Barbecues so different from the rest? Secondly, at Absolute Barbecues you get the novelty of grilling all by yourself at your table! Our days of outdoor leisure in the UAE are greatly numbered, and given the summer heat will hit us before we know it, I am so glad we can still do barbeques indoors with AB’s! The center of each table has a makeshift wooden slab that is removed to reveal a barbecue pit. 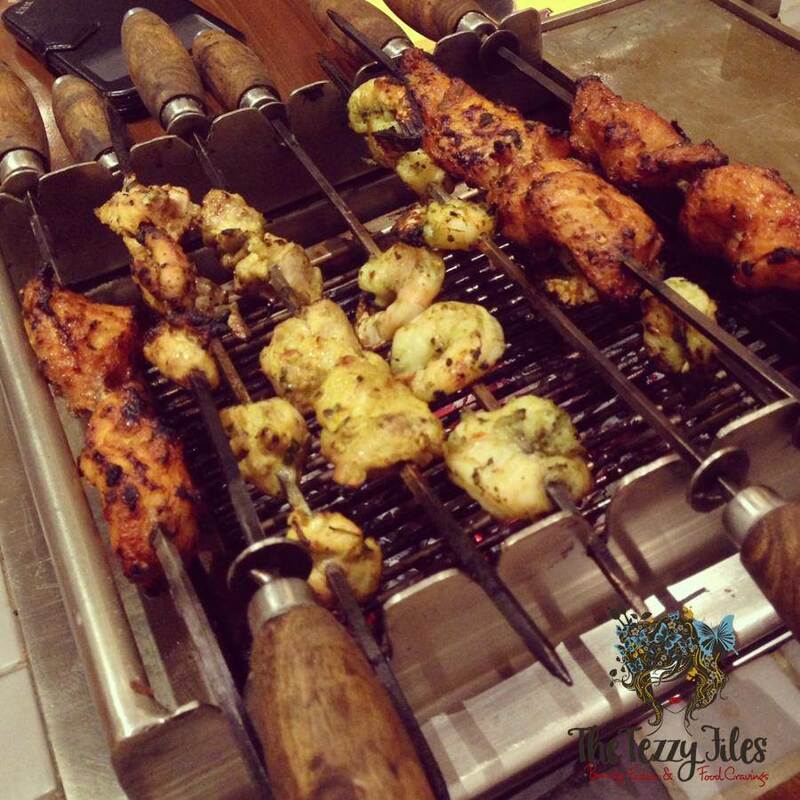 Hot charcoal is placed before you, with skewers of mouthwatering marinated specialties including jumbo shrimps, chicken, lamb and fish. While you are grilling, the staff serve up appetizers. My favorite for the night was the Crispy Corn. It was tangy, spiced and chatpata (the Indian way of saying flavorfully delicious). 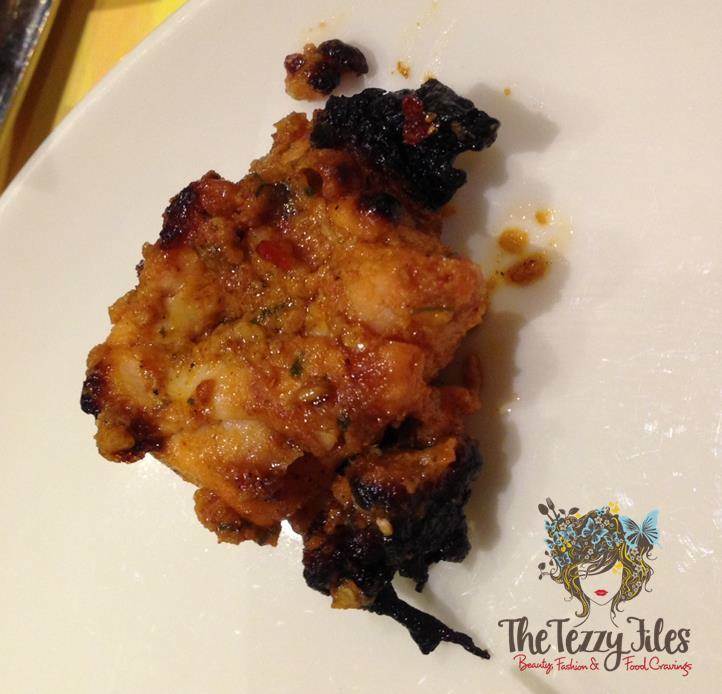 And here is a close-up of a Tandoori Chicken Tikka piece that was served as an appetizer. 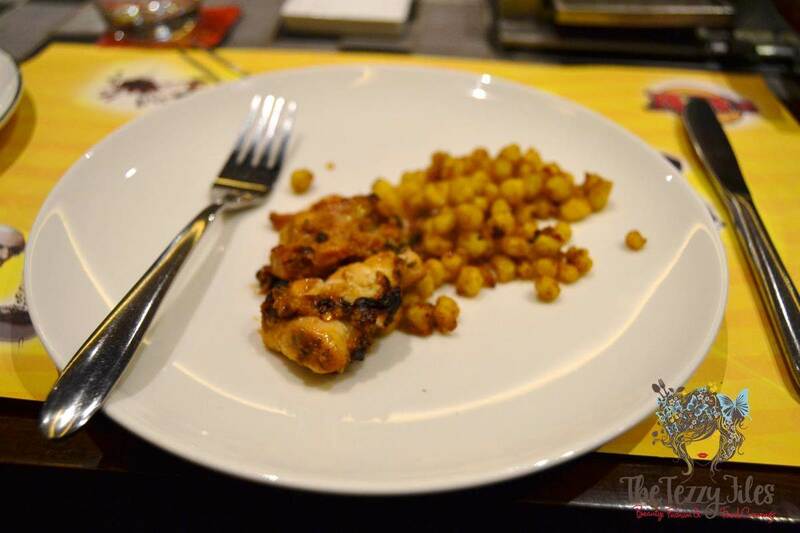 Notice the masala, beautifully coated on a succulently moist piece of charcoal-grilled boneless chicken. For drinks, we went for the Indian Tadka. In Indian cooking, tadka is the final addition of fried spices to a dish, a hot, robust garnish so to speak. This drink was a take on a traditional tadka. 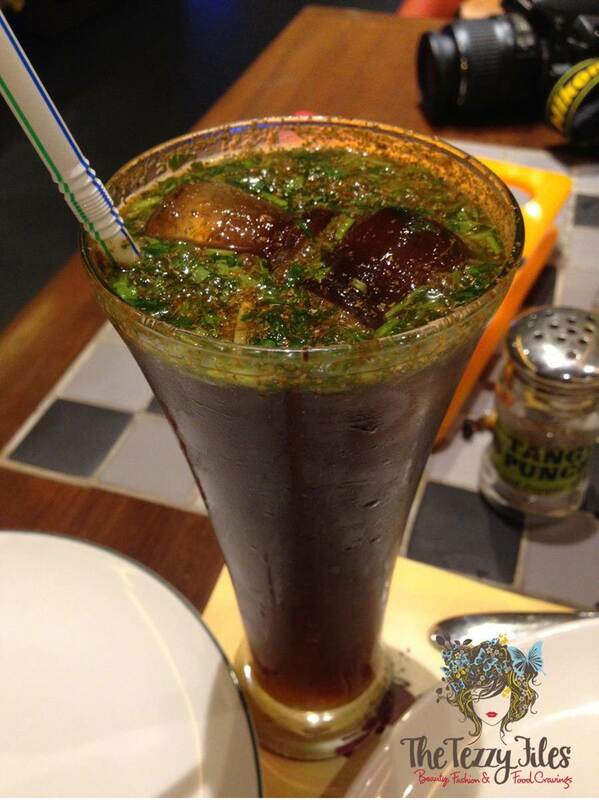 It has a cola base and has been spiced up with an Indian chatpata mix of black salt, cumin and coriander. I love this drink! It is an acquired taste, and may not be a suitable option for people who are spice-phobic. While you are grilling, you can also head to the Wish Grill. This is styled as an open kitchen where you are spoilt for choice with various meat-cuts and vegetables, and an endless number of sauces. 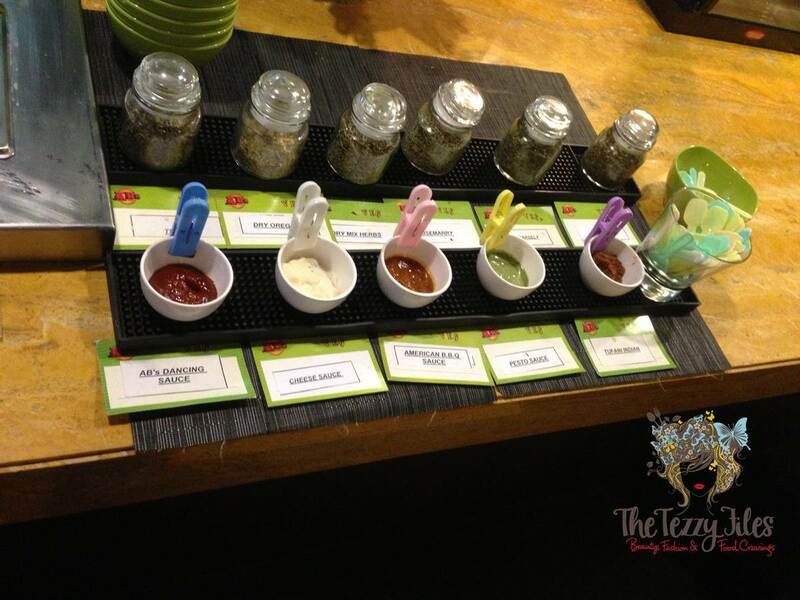 Expert chefs mix together your preferred concoctions, and each bowl is pegged with a number you take back to your table. 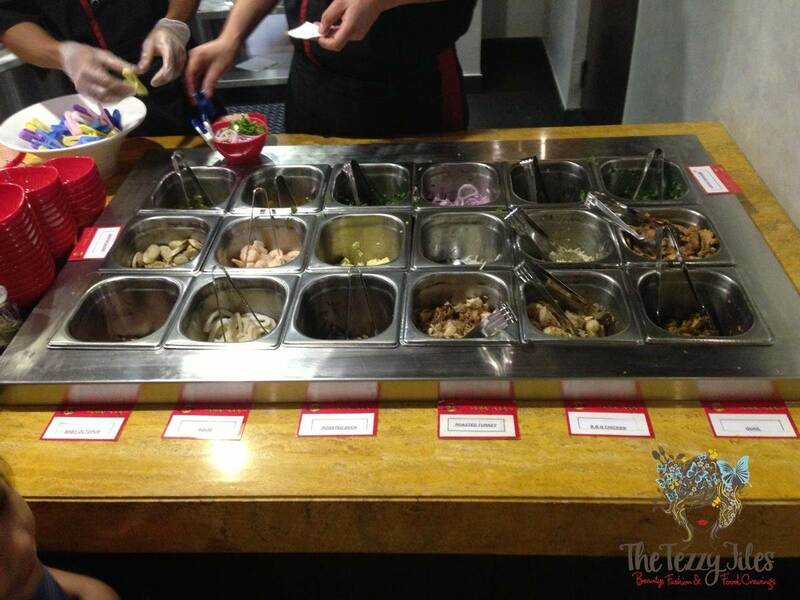 Once ready, the staff track you down with the help of the number, and your little bowl of yumminess is served on your table. 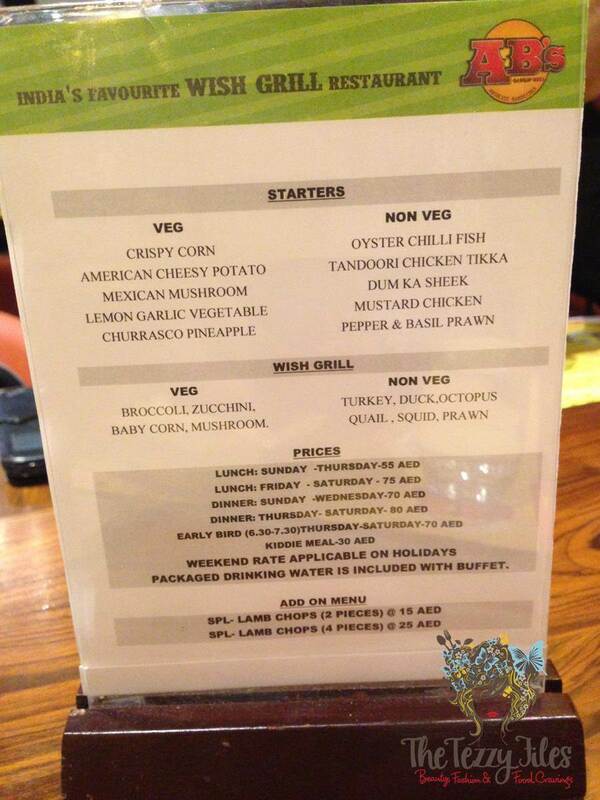 Vegetarians need not feel left out. 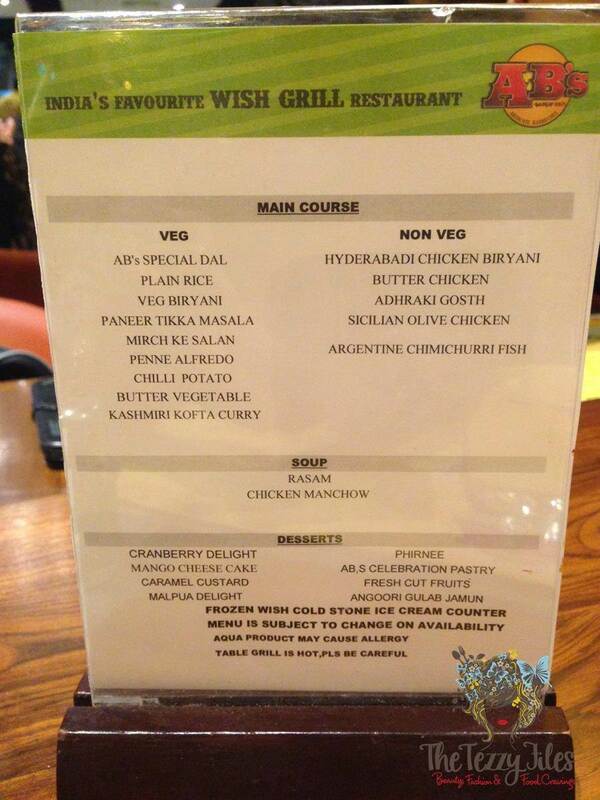 At the Wish Grill, vegetarian wishes also come true with a wide variety of vegetable combos at your disposal. 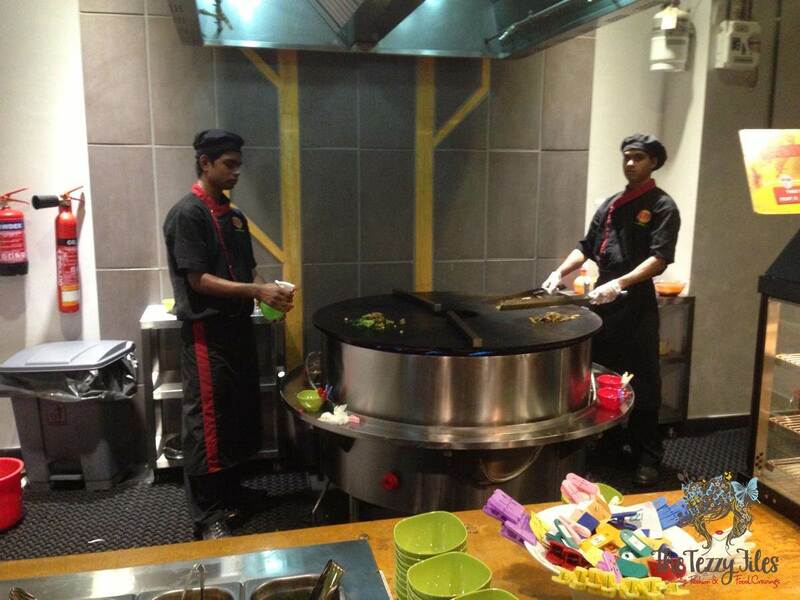 With all this grilling and experimenting at the Wish Grill, novice cooks can get a bit of an ego boost! Absolute Barbeques makes it look absolutely easy to grill gourmet Indian food. By the time we were done with all the delicious grills, we were far too full for the main buffet. We had sample-sized helpings from the buffet, and I was saving space for my favorite course; dessert! Here is my plate of mains. I think an order of biryani is a good litmus-test for an Indian restaurant, and Absolute Barbeque’s Hyderabadi Biryani came out tops. It was just the right amount of spicy, had full-bodied chicken flavor, and the chunks of chicken were tender and delicious. 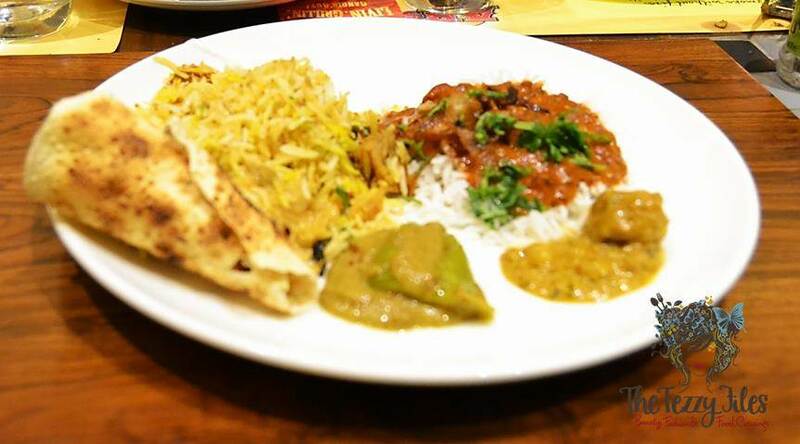 I would also recommend the Kashmiri Kofta Curry, moist and meaty meatballs served in a spiced onion and capsicum gravy. Absolute Barbeque’s Special Dal is the restaurant’s take on the very popular Indian dal makhani (a rich lentil soup of black lentils in a buttered gravy). If I wasn’t as full, I would have liked to have this all by itself on top of a mound of white rice. I also tried the mirchi ka salan. This is another specialty of Hyderabad, and translates to ‘chili curry’. However, it is not as fiery as it sounds as the chilies used have the heat capacity of a capsicum, and the thick, nutty gravy went superbly well with the biryani. And finally its dessert time! At Absolute Barbeques, there is a wide variety of sweet treats available from cheesecakes, pastries and custards, to traditional Indian favorites including mini Gulab Jamuns, Bengali Malpua and Phirni. 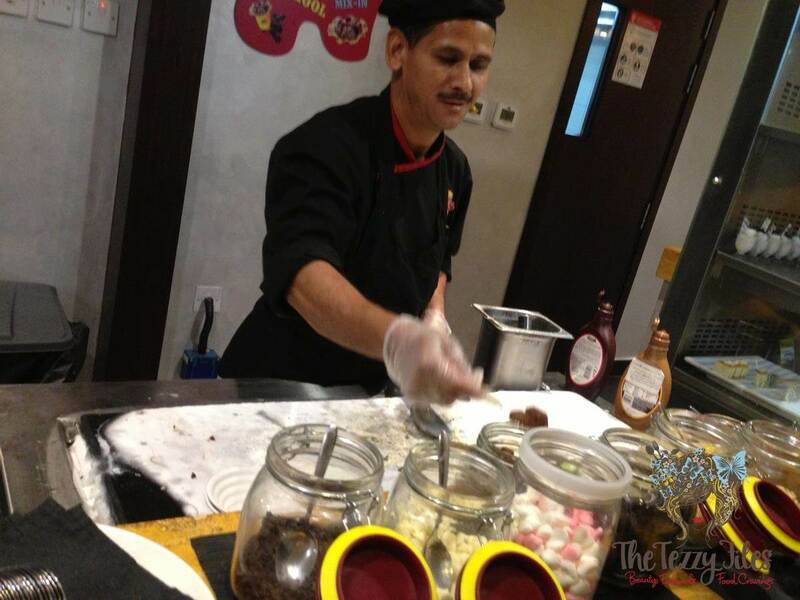 They also have their very own cold-stone for mixing and mashing up ice-cream flavors with all the lollies, dried fruits and nuts you can wish for. 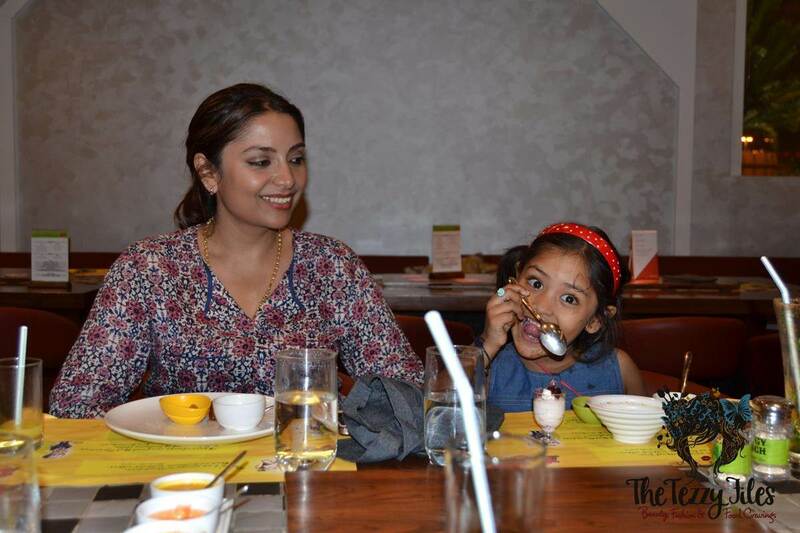 Here’s a happy ice-cream gobbler licking up her spoon! As we were in an Indian restaurant, I decided to stick to their Indian deserts. I am a rabdi fan. 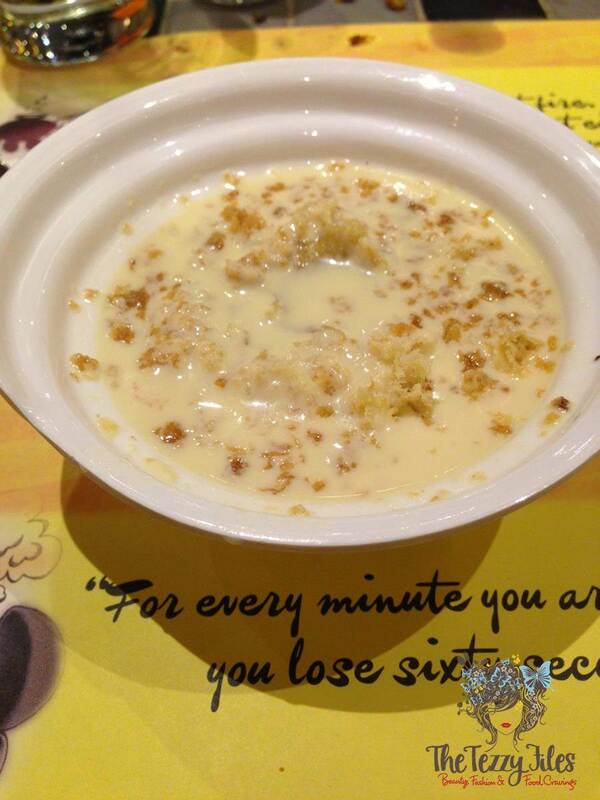 Rabdi is a very rich Indian milk pudding made of milk that has been tediously slow-cooked to thickness. 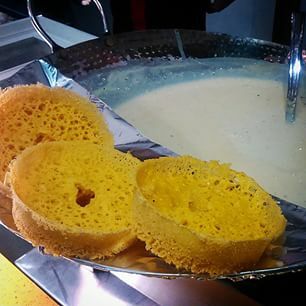 At Absolute Barbeques, their rabdi is served over a crunchy ghewar (a traditional Gujarati treat made of flour, oil and sugar syrup). It was a divinely decadent combination. 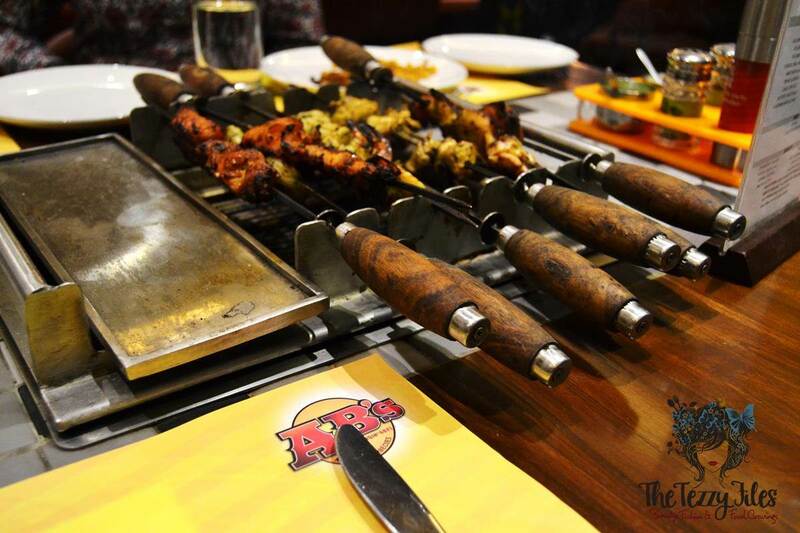 Absolute Barbecues Dubai is the brand’s first move out of India. 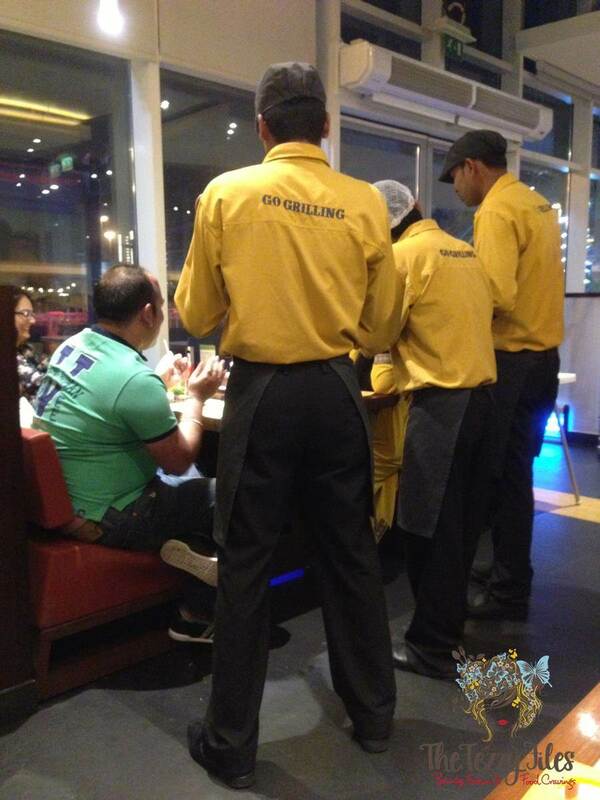 In India, Absolute Barbeques already has a major fan following in Hyderabad, Chennai and Bangalore. 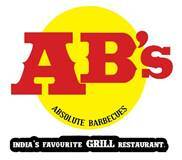 One thing that strikes me every time I see the Absolute Barbeques logo is how filmy it is: the fonts look like they belong to Bollywood, and the initials ‘AB’ reminds me of the angry young man, Amitabh Bacchan! I also like Absolute Barbecue’s quirky sense of humor. 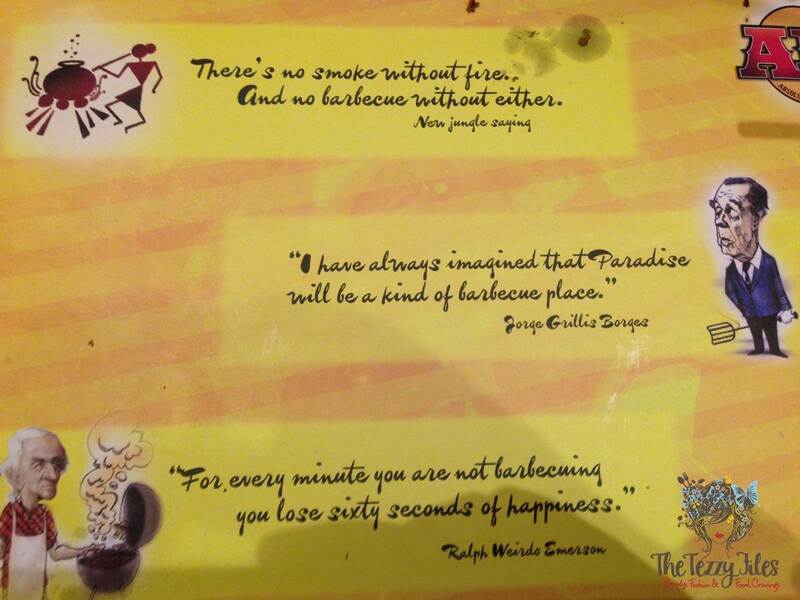 The staff really are very friendly, and go out of their way in explaining the unique concept of Absolute Barbeque. They are well-versed on the menu options, and quick to attend to a diner’s needs. While we were eating, a group of waiters crowded around our neighboring table. It was the lady’s birthday, and they crooned in unison! Will I go back to Absolute Barbecues? Absolutely! And I plan to take a band of friends to proudly show off my new foodie discovery. If you’re planning a reservation for the weekend, I suggest you book a table on 04 552 0562 to ensure you get a seat. Happy grilling! 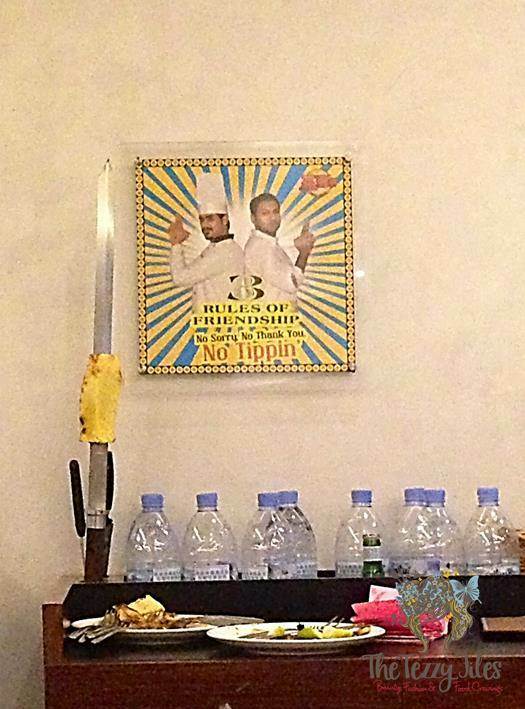 Posted in Restaurants and tagged barbecue, dubai, Dubai food, Food, foodie, indian cuisine, indian food. Bookmark the permalink. Haha one day I’ll make it over there! About time you guys came to visit us Shampa Didi! I’ve driven by this place many times, but I’ve always been a bit put off by the location, as it seems to be very close to SZR? The food looks nice, but I just didn’t felt like having dinner right on the highway, but maybe the seating is inside? Hi Mitzie! I went at night so I didn’t see the outdoor seating. The indoor seating is comfortable and spacious, definitely worth a try. Let me know how you find it! Tezzy you make think I’m reading all your posts….and you’d be correct 😀 btw this does look incredible! I’ll have to show you Texas barbecue! Thank-you for your interest in my posts 🙂 Really appreciate feedback from fellow bloggers. Yes, please do share a post on an authentic Texan bbq fare! We have a chain called ‘Texas Roadhouse” here. Perhaps I should do a review on it and you can judge if it meets your Texan standards. I look forward to it! Being an avid foodie, its always good to read up about authentic cuisines.